Richard Bandler put together his fast phobia cure a few years ago and supposedly in 10 minutes manages to free people from their phobia. In my experience however – and the one of a few of my NLP colleagues, it’s rarely that straight forward. The brain learns and changes very quickly, therefore it’s indeed essential to do some processes at high-speed as it’s the key to destabilize old running patterns. 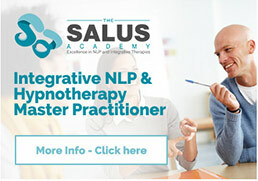 A lot of people get rid of their phobia with a quick NLP approach, however sometimes a client might need a few different processes to completely overcome the complexity of their phobia. But first, let’s explore where phobia come from as it might play a role on which approach is needed to cure it. It is fascinating to realise how a life time phobia can sometimes come from a single scary event, and that raises an interesting question as to why in some situations the brain can learn instantly something on a permanent basis when other times it takes ages to learn other things. There’s a saying in french that goes “you need to forget something 7 times before being able to remember it”. When I was learning English, I very often would learn a word then forget it, then learn it again and so on for a few times before it would stick. So why can’t we learn languages or other academics subjects as quick as the brain learns to develop a phobia? The key answer is the level of emotional response involved in the learning. The unconscious mind will learn from a terrifying one-off event in order to protect us from future threats. The emotions will be then deeply associated with that situation which embedds the learnings extremely efficiently. That indicates cleary that the brain learns best when emotions are engaged. Sometimes however, the phobia seems to have always been there. I used to suffer from a wasp phobia (those of you who have seen me run around like crazy whenever one was close enough might remember how much fun that was to watch 🙂 ), however I had never been stung by a wasp before developing that phobia. After analyzing the root cause of it, I discovered that when I was a baby, my mum was terrified I could be stung when sleeping in my cot. Even though she herself isn’t scared of wasps. My unconscious mind must have picked up on her fear and as I didn’t have the critical filters from my conscious mind in place yet (the conscious mind’s filters tend to develop around 6 or 7 years old), I fully took on her fear and made it mine without questioning it. I have been working a lot with phobia recently and also discovered that a lot of people get their phobia simply because their parents or older siblings had that phobia in the first place, and as todlers we learn by modelling our significant others. 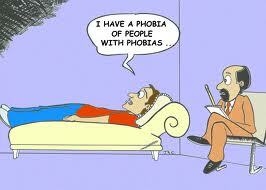 So if your parents suffer from a phobia, you are likely to become yourself phobic. One of my best friend has got a spider phobia, and everytime a spider appears, she screams. So her daugther learnt from a very early age that the appropriate response to have in front of a spider is to scream and be scared. And that’s how a lot of phobia are developed. So it’s worth considering healing your own phobia before thinking of having children, if you don’t want to pass it on! Today I saw a client with a spider phobia, and on our first session I mentioned I had a plastic spider in my bag. She panicked and was on the verge of tears at the thought of it. Considering the extent of her phobia, I chose to do first a part integration process in order to address her secondary gain – protection – that appeared to be very strong. If you don’t address the secondary gain before doing the phobia cure, it’s likely not going to work or last. After the first session, she felt more comfortable but still was quite terrified. On the second session, when I mentioned getting my plastic spider out of my bag, her unconscious communication clearly signalled that she wasn’t ready for it. So I did the phobia cure on her – an extended version, not the fast one, and at the end of it she felt better but I could tell she wasn’t totally sorted. So I saw her today for the third time. She had managed to stay in the same room as a spider during the past week and her reactions were much less dramatic. So we looked into her unconscious strategy to create the phobia and more specifically her internal visual representation of a spider. And as I suspected, it was completely distorted and exaggerated. The spider was oversized, very close up and out of context, i.e there wasn’t any background in the picture. So we installed a new strategy based on the one she unconsciously uses with insects she’s fine being around, whilst using anchoring and pattern breaking. At the end of the session, she asked for my plastic spider and spent 20mn playing around with it! Every client is different, all patterns are different, and processes are only crutches to help you help your clients. 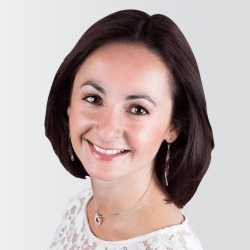 And the key – and the principle behind NLP – is to first understand the structure of your client’s internal patterns before knowing how to start changing them. So I do believe Bandler’s quick phobia cure works in some instances, but it all depends on the patterns that are running, perhaps also where the phobia come from and it is essential to adapt the treatment to all those variables in order to make it the most effective.